After Indigo was born it took him 6 months to start sleeping through the night. Needless to say, I spent those 6 months walking around like a zombie. Just because I felt exhausted didn’t mean that I wanted to look exhausted. 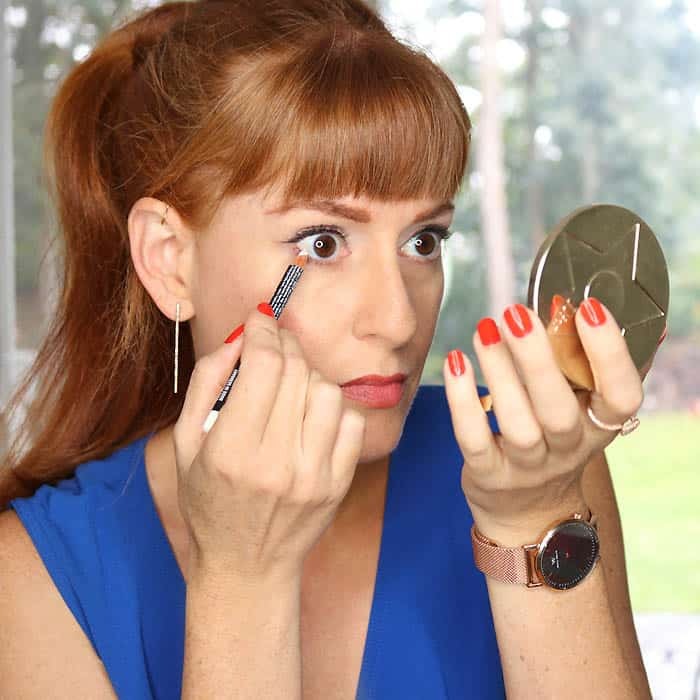 During this time I learned some easy beauty tricks that actually make you look well rested. 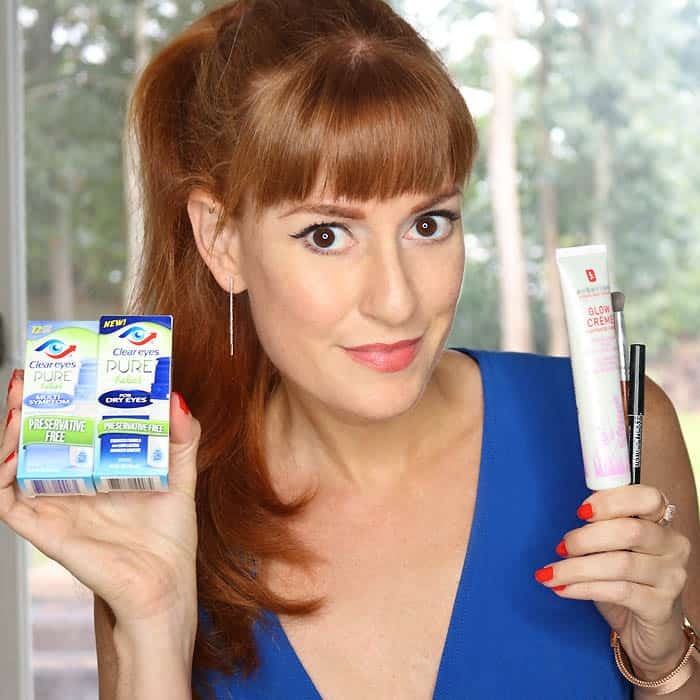 Today I teamed up with Clear Eyes Pure Relief® to share my beauty tricks to make you look well rested! Indigo sleeps through the night now (thank goodness!) but there are still some nights I don’t get my 8 hours. These tried and true beauty tricks work every time! . Forget cucumbers! 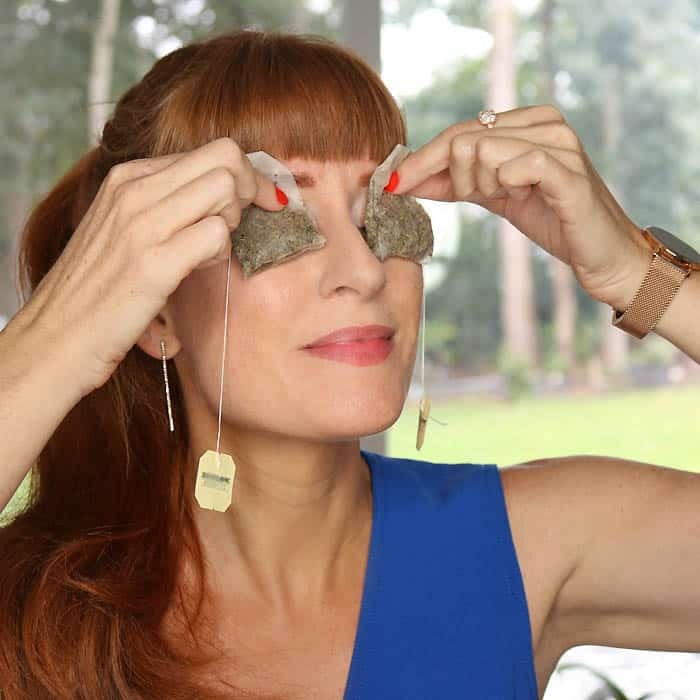 Cooled green tea bags are perfect for puffy under eyes and dark circles. The tannins in the tea reduce swelling and tightens the skin around the eyes. Steep the tea bags in hot water for 3-5 minutes. Take them out of the water and place on a plate. Put in refrigerator for 30 minutes. Place on eyes for 15 minutes. As an added bonus it’s so relaxing! Dry eyes are a common problem caused by everything from environmental factors to an excess amount of screen time. Clear Eyes Pure Relief® for Dry Eyes provides up to 12 hours of comfort. They also feel soothing and refreshing which is perfect after a sleepless night! 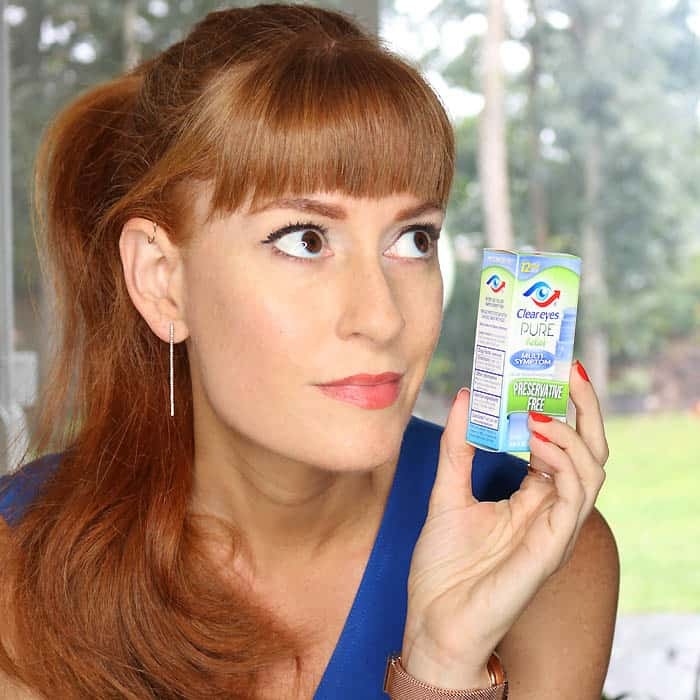 A couple of drops of Clear Eyes Pure Relief® and my eyes feel instantly better! 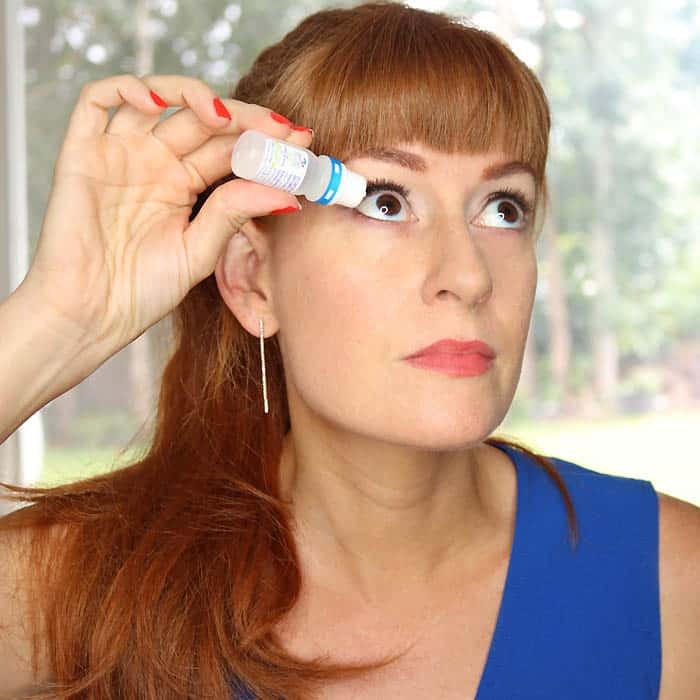 Clear Eyes Pure Relief® is the #1 selling brand of eye drops. It comes in a cleverly designed bottle with a built-in purifying filter that keeps bacteria out. That means there’s no need for preservatives in the formula. Clear Eyes also makes Clear Eyes Pure Relief® Multi-Symptom. 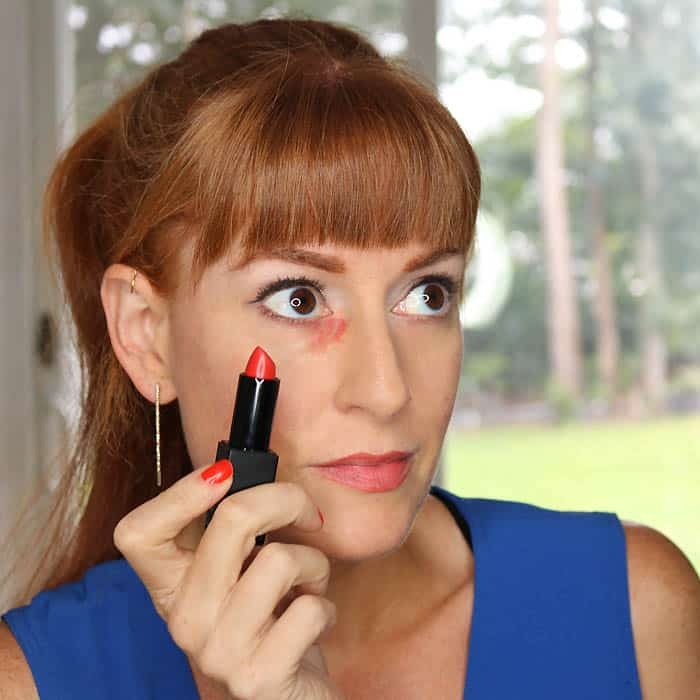 After color correcting, apply some concealer. 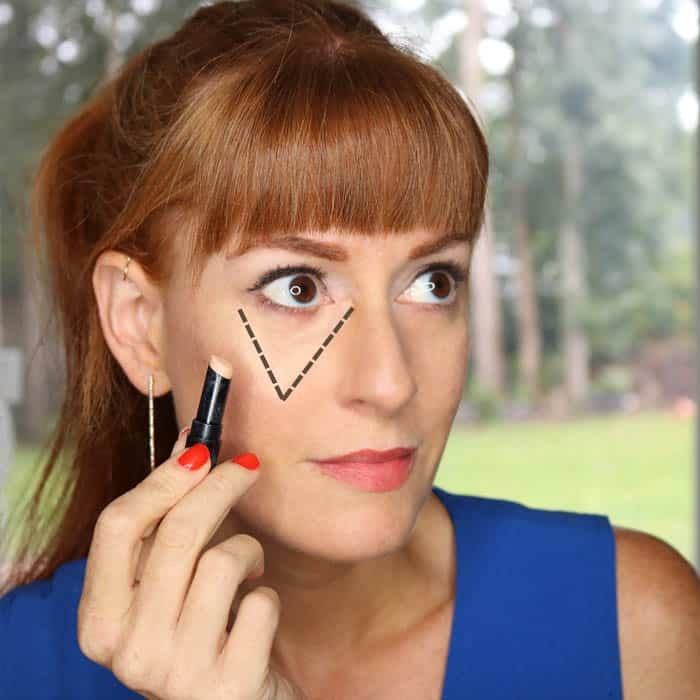 The best way to apply it is not just directly under your eyes, but in a triangular pattern. 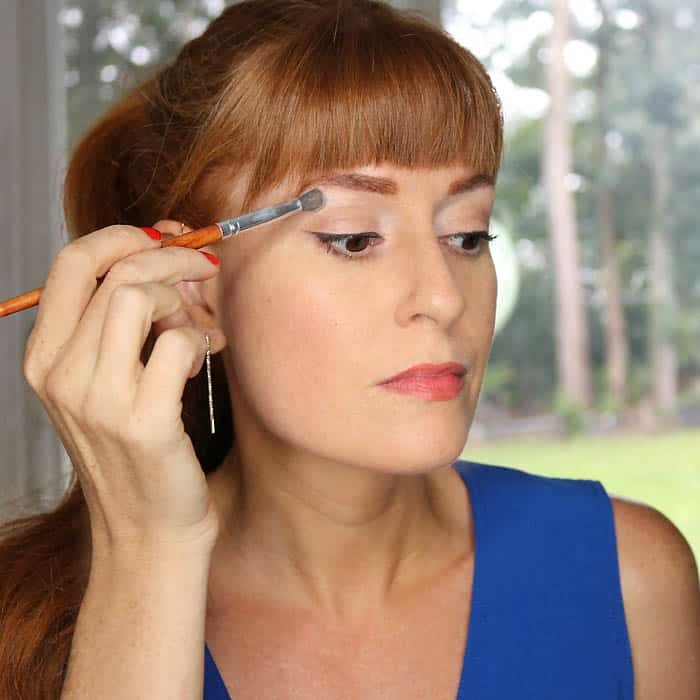 This little trick makes the concealer blend in better and look more natural. A white eyeliner is essential for making your eyes look bright and well rested! Apply it to the lower lash line and leave the dark liner for the upper lashes only. Highlighters are perfect for brightening an area of your face. Apply it to your brow bone and inner corners of your eyes .It draws attention up and away from your under eye area. You know what else will make you look well rested? How about a free trip to Miami!!! Share your shining moment for a chance to win a grand prize trip to Miami. Upload a photo/video/story sharing your shining moment to your Instagram, Twitter or to the Clear Eyes® facebook page. Tag @ClearEyes in your photo, video or story and use the hashtags #MyShiningMoment and #Contest. Entries can be submitted until 11:59 EST on October 15.